The Newman Student Award Fund recognises and honours talented students leading the way at Schools of Architecture throughout the world. Those who are selected to receive this highly coveted award will have demonstrated excellence in this discipline and in the application of acoustical design principles, during the course of their study. 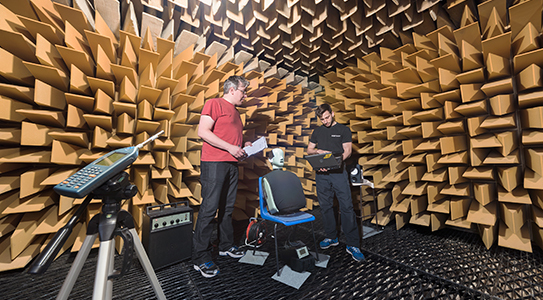 LSBU students Doug Shearer and Simon Brown, both studying MSc Environmental and Architectural Acoustics, have been recognised for their outstanding and ground-breaking work in the study of acoustics and its application to architecture. 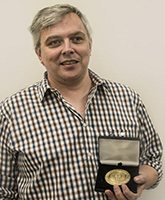 Andrew Steele was also recognised for his innovative work in electro-acoustic's. Doug was awarded the Newman Medal for his Masters dissertation entitled, ‘Measuring absorption below 100 Hz with a Particle Velocity Sensor’. Doug’s ability to accurately measure very low frequency absorption has led to a jointly funded PhD Scholarship with the Royal Academy of Music. 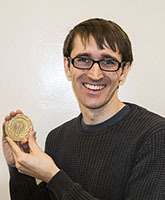 Simon was awarded the Newman Medal for his Masters dissertation entitled, ‘The suitability of additive manufacturing in 1:10 scale acoustic models of performance spaces’. Simon’s research has inspired LSBU Architecture lecturer Federico Rossi to undertake a PhD in acoustics, in order to continue building on his exciting work. 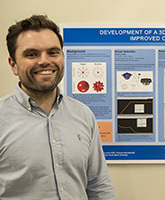 Andrew was awarded second place in the Audio Engineering Society’s (AES) Graduate Poster competition for his unique and innovative use of 3D printer technology to develop a new electro-acoustic product. Andrew’s poster, ‘Development of a 3D-printed Dodecahedron Loudspeaker for Improved Omni-Directional Sound Radiation’ was presented at the 2016 Audio Engineering Society UK Sustaining Members Events. All three students will present their work to an Institute of Acoustics meeting this summer, and then to Inter-Noise 2016 in Hamburg, the largest annual acoustics conference. Dr Stephen Dance, Course Director for Environmental and Architectural Acoustics at LSBU, said: “I am very proud of my students; they are a credit to LSBU. To have won two Newman Medals for Merit in Architectural Acoustics is very rare, but their determination, enthusiasm and skill have allowed two outstanding projects to be realised. Find out more information about Architectural Acoustics at LSBU.